Let's hear why everyone loves About Faces! "The event and Nick were excellent! Nick even helped me balance a ball on my finger, and it was awesome! It's always a pleasure to work About Faces and their entertainers, and I will definitely be using them for future events!" It sounds like you might want Nick W at your event! "We enjoyed having Matt at our Project Graduation! He was courteous and professional. The kids had a great time getting their caricatures drawn! Thank you for finding him for us. I'm sure we will want to have him back next year!" Consider a caricature artist like Matt C to rock your party! How Much Do YOU Know about Sapphires? 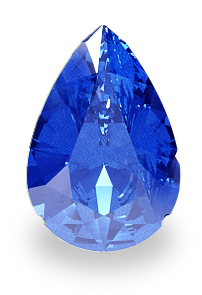 Did you know the birthstone for September is sapphire? Around 1215 in Rome, it was believed that if someone was given a sapphire ring and the color faded, it proved that that person was untruthful or "impure". Next time you see someone wearing sapphire jewelry, check if the color is faded or not. If it is, watch out! It's high time for the fall festivities to begin. Whether it be a college function or a birthday party, a Labor Day picnic or a Rosh Hoshanah celebration, you will ask the same question. What is the key to having a good party? The guests, you say. No, no, the games, you insist. Or the food. Or the location. And although these things are all very important, there is one thing that will make your party stand out- the party hats! If you want to throw a party, entertainment is key. And About Faces is handing it to you on a silver platter --magicians for that college function, face painters for that birthday party thing we were talking about, caricature artists, perhaps for the Labor Day picnic, clowns (for Rosh Hoshanah? I'm just thinking out loud here) and many more entertainers, which you can check out on the About Faces website. Book now and see the results for yourself -- they'll be talking about this party for years! Then Benny The Wonder Dog pops out of the kennel! "I know what to do," he woofs. Joe and Sarah gasp in awe. "Well, what should we do?" asks Joe eagerly. "Throw a party!" Benny announces grandly. "What would the party be for?" asks Sarah. The Wonder Dog howls (although they are the only ones there), "That's for you to find out!" He bounds away, thinking of his stuffed squirrel, and Joe and Sarah watch him leave. Joe checks something on his phone and smiles. "Hey, Sarah! I think I found something we can throw a party for!" The caricature artist hands another kid a fabulous drawing. The mime ends his flawless routine with an enthusiastic " ", and the crowd applauds. The magician succeeds at making Sarah's glasses disappear. About Faceshas turned Joe and Sarah's Ask a Stupid Question Day* party into an unforgettable memory. *This holiday actually exists. It's on September 28. I hope you have a fantastic time at your party with About Faces!